Hive announced last summer that they were going to release a handful of peripherals; an active plug, motion sensor, door/window sensor and smart bulb. After a long wait, they have finally been released. 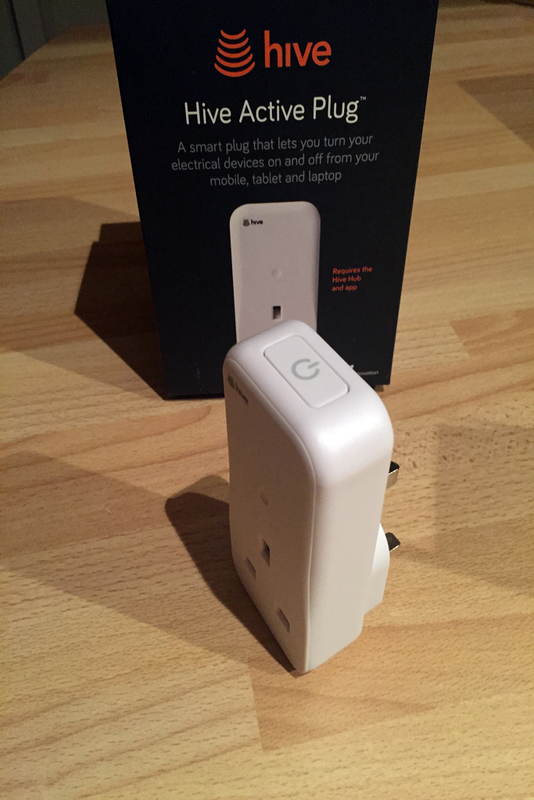 I’ve purchased an Active Plug as a trial, along with a door/window sensor, which has just arrived today but not been fitted yet. I ordered the peripherals over the phone (as I wanted them delivered to my billing address, not our installation address). The customer service rep informed me that a firmware update would be required on my hub. This was completed within an hour of ordering. Thankfully, other than the update, the new peripherals are fully compatible with my two year old hub. It is worth noting at this point that you do require a working Hive Hub to take full advantage of the Hive peripherals. The Active Plug is a doddle to set up. Simply plug it into the mains (in range of the hub) and the LED on the plug will start flashing amber. From the Hive App, select Devices, then Install Devices. You are given the option to upgrade to Hive 2, or add another device. After selecting the latter option, the hub will start scanning for new devices on the network. It took a couple of minutes to complete the registration of the plug. During the registration, the LED on the plug turned to solid green, and a short time later the app confirmed a successful installation. At that point, I then plugged our TV equipment multi-way into the Active Plug. 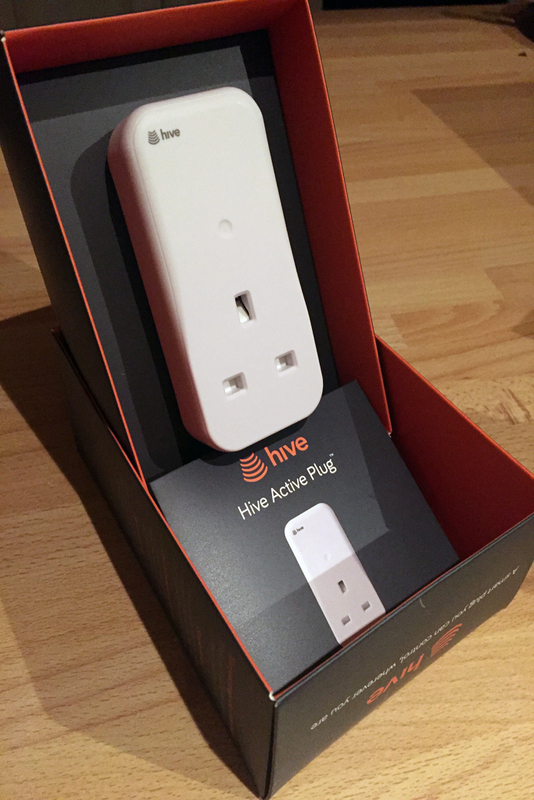 The Hive App gives you the option to name (or rename) the plug; handy if you have purchased more than one, and, much like the heating controller, you can switch the device on and off manually from the app, or set up a schedule. You can also switch the unit on by pressing a button mounted on top of the Active Plug. Switching the plug on and off via the app is almost instant, and there appear to have been no issues so far switching off multiple devices using a multi-way. There seems to be no issues with range. I’m getting full signal strength on the plug (as viewed in Manage Devices), which was a concern of mine before installation as the plug and hub are some distance from each other. The unit is slightly smaller than a traditional mains timer unit, and not much wider than a normal 13amp plug. And as an added bonus, as it is plugged in, it does not require batteries. I’m hoping that this will play a small part in reducing our energy footprint at The Prairie, as the TV equipment is often left in standby mode after guests have left, and I can schedule the plug to switch off overnight.